As many of you probably know by now, HTTP 500 error messages are generally attributed to either Certificate misconfiguration or Authentication misconfiguration of OWA and ECP. Certificate problems arise when the certificates you are using on the backend are corrupted or there might be another issue like validation, etc. This generally can be easily resolved by assigning a new certificate to your Exchange WebServer. You can do this via Exchange Shell or the not so recommended way: directly on IIS. Authentication problems arise when you are not using the same authentication methods on your front and backend Exchange WebSites. The default recommended approach is Forms Based Authentication. The recommendation at this point is to use the Exchange Management Shell to establish both the OWA and ECP sites to accept Forms Based Authentication. Finally, there are some weird issues that might require you to completely remove OWA and ECP virtual directories (again, you can use the Exchange Management Shell) and recreate them. By default Forms Based Authentication should be enabled but feel free to double check. So that pretty much covers 99% of the problems out there referring to HTTP 500 error when accessing ECP. But in my case it was something much worse. So he finally got Microsoft on the line and after much troubleshooting they determined a setting on AD was the culprit. I obviously tried deleting those entries and had no luck but it pointed me in the right direction: Something got really messed up on the backend that I couldn’t use Exchange ECP. I could had spent some time on figuring out exactly what was messing up my setup but I decided there were too many variables and too many configurations I was better off starting from scratch. As I mentioned, we had migrated to Exchange Online so wiping all local settings was not a big deal for us. First, uninstall / remove Exchange Server from all servers that are still loyal to you (lol). Once that is done is time to remove those rebel ones straight from Active Directory as they won’t cooperate. 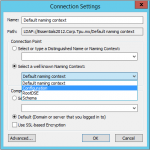 For this you are going to need to use ADSIEDIT and follow this instructions: Exchange 2013: How to completely remove all settings from Active Directory. Once you have wiped all the Exchange Server Configuration information from Active Directory you are ready to proceed with the installation. 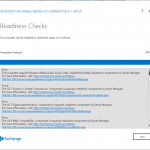 You can follow this simple instructions to quickly deploy it: How to Install Exchange Server 2013 SP1. You’ll notice that this time around there is no HTTP 500 blank page after you install Exchange and everything works as it should! Fortunately it seems that the hybrid configuration is also stored online or somewhere else. After re-installing Exchange 2013 SP1 (with a previous CU I did have some issues) it picked up my hybrid deployment and from elsewhere in AD my users and groups. Because of this I only did a Hybrid sync to reconfigure my connections between onPremise and Cloud Exchanges, assigned a certificate and establish my externals URLs and I’m all good and working again! Yay! Next story Resolved: Microsoft Office has detected a problem with your Information Rights Management configuration. Contact your administrator for more information.